AccuraCast SearchStarz Blog: Footballer Joey Barton in trouble for calling PSG player a 'ladyboy' on Twitter. 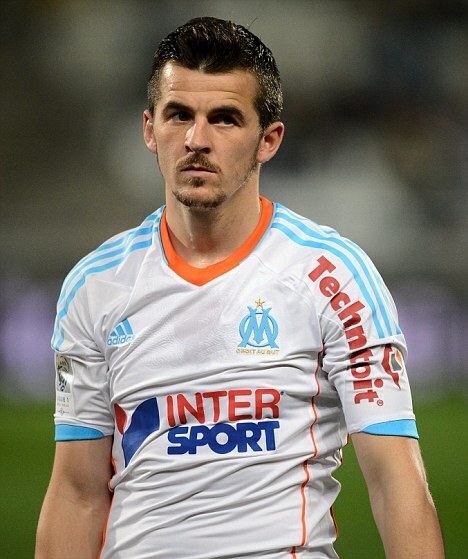 Footballer Joey Barton in trouble for calling PSG player a 'ladyboy' on Twitter. French football club Paris Saint Gemain have threatened to take action against notorious footballing bad boy Joey Barton. Yesterday the English Marseille player called fellow footballer, Brazilian defender Thiago Silva an "overweight ladyboy". A spokesperson from the Paris club said that PSG has the right to take necessary action. Calling the tweet "serious and more than a simple verbal clash." Barton is popular on Twitter with more than two million followers. A soccer team in london, Stonewall FC, responded to the tweet. "Transphobia in sport is just as bad as homophobia in sport - @joeybarton's comments this morning need looking at." Marseille's coach thinks his responsibility stops at the pitch and that Barton is responsible for what he posts on social media.